You have friends. You have dice. You have miniatures. You have Dungeon Crate. But someone needs to run this game. 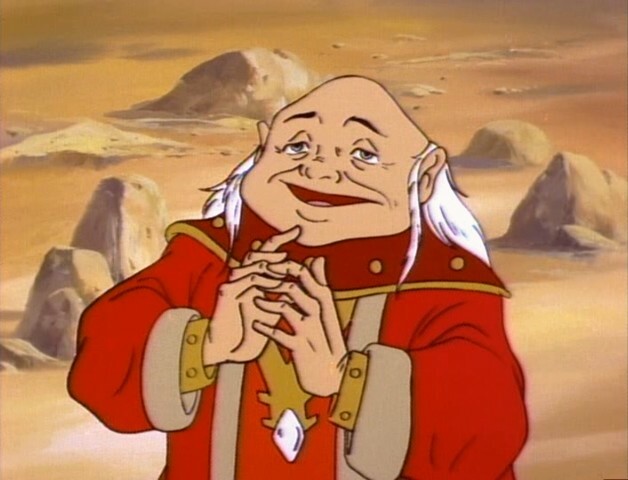 After much consideration, the group has named you as its Dungeon Master. Congratulations! It’s a big honor. But now you’re also realizing that it’s a little bit of work. Gather your materials. For starters, you’ll need the game rules, some dice, an adventure, and some pencils and paper. That’s really it. You can get more involved with rulebooks and miniatures and all kinds of other accessories (did we mention Dungeon Crate? ), but you can start your first game with the basics. An adventure? Do I have to make everything up? No, you do not. If you’re into that sort of thing, you can build a campaign world, craft an epic adventure, and send your players into it. But there are loads of pre-written, tested, and fun adventures of all different flavors out there waiting for you. You can buy a big, epic hardcover book or get a small, short adventure. Whatever you like, really. What should I have prepared? At a minimum, read through the portion of the adventure your group will play next. If it’s the first game, be sure to read the introductory pages, too. It’ll help you know what to expect when you’re at the game table and how things might unfold. How much improv is involved? Depends on your play style. It’s totally OK to play things straight out of the book. It’s also OK to make things up as you go along. Just do what makes you comfortable. What if I don’t know a rule? That’s fine! Most DMs don’t know every rule. We like to handle it one of a few ways: Simply say, “Pause. I have to look up that rule really quick.” Or, if you think you know the rule, go ahead and make a quick ruling at the table now and look up the exact text at the next break. You could also task one of the other players to look it up for you. You don’t always have to be the Dungeon Master. If you don’t want to be the one always running games, your group can rotate. You can do that every few sessions or every time you finish a small adventure or whatever is comfortable for your table. You’re going to do great. We believe in you. You love it so much that you just have to play-set in that world. But if there’s no official Harry Potter, Legend of Zelda, or Shanara RPG, what do you do? It’s not quite as easy as picking up a One Ring hardcover campaign or downloading an official Pathfinder adventure, but if you’re dying to play a D&D game that follows your favorite series, story, or saga, here are a few steps to follow. Start by identifying the villain. Create or adapt monster stats for the big bad guy, and then figure out what the villain and its minions are plotting. This can give ideas on how the adventurers might try to thwart them. Identify monsters in the Monster Manual that are like those in the series. Create adventures and encounters based around them. Cast your NPCs. Make sure you have outside characters ready for when the players encounter them. It should be easy to identify them from the original saga. Go ahead and adapt adventures straight from the source material. Borrow descriptions from the book. Use maps taken from the video game. Structure fights the same way they played out in the original story. Strip the story down to its main plot points and build your adventure and its encounters around each one. Turn those plot points into situations in which the adventurers will find themselves, and it will help immensely. Making your RPG sessions feel like a particular world is more than just a few plot points and city names. Introduce notable NPCs. Stat out artifacts and important magic items. Pull words straight from the original story. Adapt a solo series to fit a group. RPGs are best played with a group of adventurers, so figure out how things in the Legend of Zelda, for example, would be different if there was a group of warriors rather than just one. That might mean new challenges and puzzles or beefed up combat encounters. Feel free to stray a little. Especially if your players are familiar with the source material, change things up a little bit to keep it fresh. Because the story can always change based on how the adventurers react, be ready to adapt and take things in a new direction. Modify certain things about the game to fit the series. The easiest things to alter include changing the names of spells and monsters to fit the world. Adapt the story’s places: kingdoms, cities, locales, taverns. The more fleshed out they are, the more it will feel like the source material. Cut out parts that aren’t useful or helpful. Every little detail of your favorite series does not need to be in the game. In fact, it may bog things down. Go ahead and cut out anything that doesn’t fit or that slows down the pace too much. This crate is the start of something big. January’s edition of Dungeon Crate is epic, the sort of thing that’s perfect to kick off the wild ride ahead. This crate contains the first installment in our new adventure series, The God Shard Trilogy. It’s also packed with maps, miniatures, coins, terrain pieces, and more. Let’s see what amazing loot we’ll be dropping into your Dungeons & Dragons, Pathfinder, Dungeon World, or whatever games that might grace your table. Designed for 5th edition, this adventure is the kickoff of a new trilogy. (Where can you get the second and third installments? From Dungeon Crate, of course!) Floyd Cocklin and Kevin Coffey crafted something special for this one. Use it for your next game night. Use the all-new monsters in the back of the adventure. OR save it for when your current adventure winds down and you need something new. The God Shard: Descent into Darkness largely takes place inside the sprawling Bleakwood Stronghold. It wouldn’t be a dungeon crawl without, well, a dungeon to wander through. This premium map from Dungeon Doodles is detailed and designed to be a keeper. You can use it anytime you need an underground dungeon. Use it as a d2. Use it to decide fights between the Paladin and the Warlock. Use it as the secret symbol of a society of werewolves. Use it as an inspiration token. Use it as currency. No matter how you use this copper coin from Shire Post Mint, you’ll surely notice how freaking cool it looks. Every time the party decides to camp for the night, you can bust out this little acrylic terrain. The pieces easily snap together and — voila — instant campfire! It’s a great one to bring with you whenever the adventure requires camping outdoors. Gamecrafters did a great job making this cool terrain piece. While ugly, this little enemy is actually a beautiful sculpt. Wielding a giant sword, clenched fist and a menacing look, this model from Reaper Miniatures is ready to assume the role of bad guy in any of your campaigns. Slap some paint on this baddie to make him look even more fierce! This is a fun one. Any time you need a crypt, vampire’s lair, or tomb scene, drop this miniature in there. Best of all, a corpse (or is it a zombie lying in wait) sits beneath the coffin’s heavy lid. Maybe something will jump out when the adventurers try to open the lid. Collect them all! The back of every insert in Dungeon Crate this year will combine to form an entire underground cavern map. This tile is the first in the series, and we can’t wait to see when they’re all assembled.